Sandy Koufax drilled by line drive is OK.
What a scare we all got this morning when news got around that Sandy Koufax got hit in the forehead by a line drive. Ken Gurnick reported that Sandy Koufax stopped by the Press Box to reassure them that he was OK. Sandy underwent a CT scan and everything is fine. My friend Kent Whittaker twitted me “I thought Andre can’t hit lefties.” Funny one Kent. Dylan Hernandez reported that Koufax jokingly said he might test the new protective cap for pitchers tomorrow. Good idea Sandy. I hope you do wear one. Glad you are feeling better Sandy. We hope to see you with the protective cap tomorrow. Looks like I had the camera upside down in the first video. haha. Here is another video. This one is a little longer. It took me a while to upload the second video. 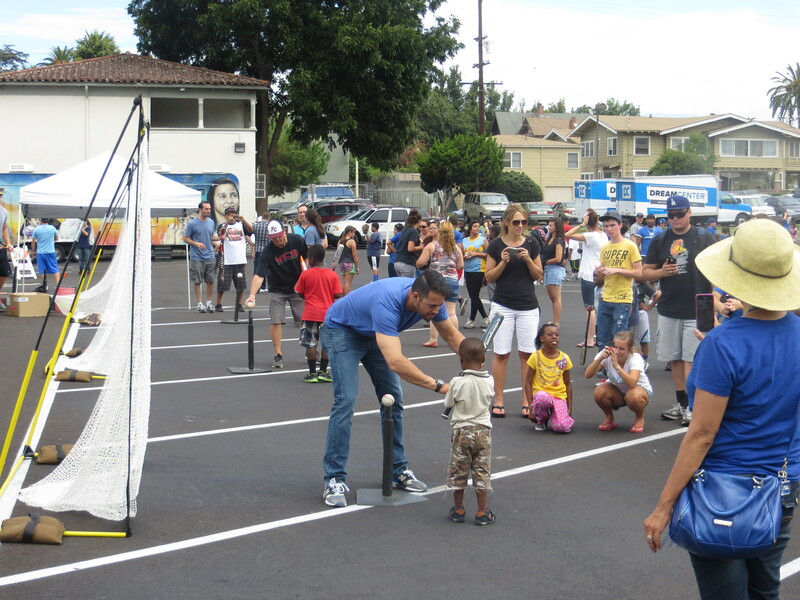 Saturday August 31, I went to the Dream Center in Los Angeles. 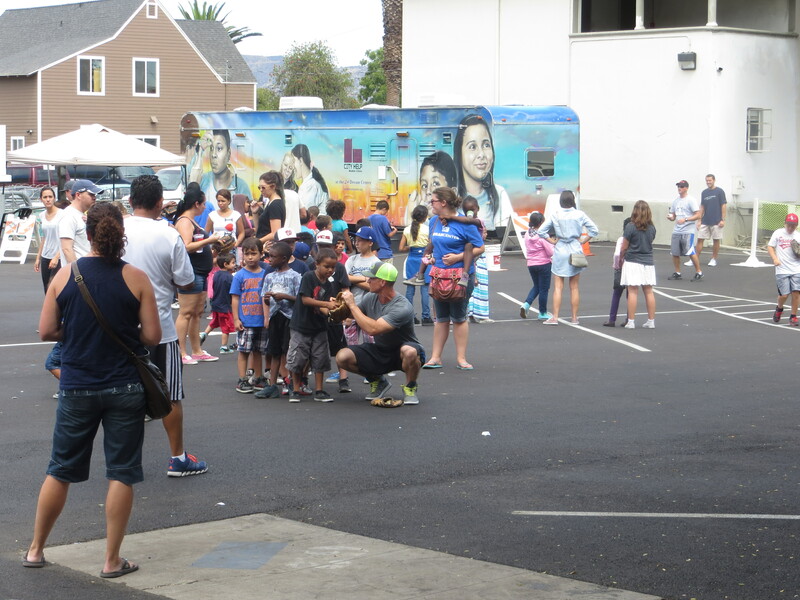 The Dream Center is a Pentecostal Christian Church mission located at 2301 Bellevue Avenue in the Echo Park neighborhood of Los Angeles. 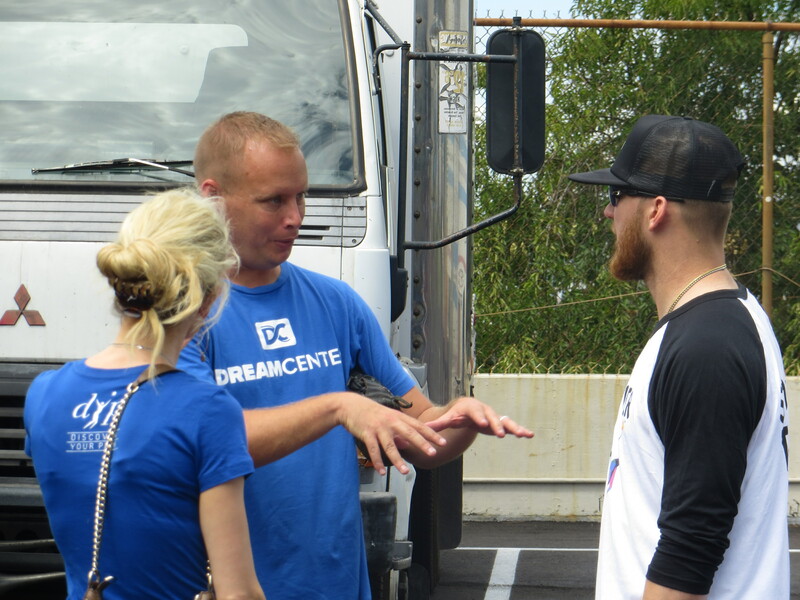 Founded in 1994, The Dream Center is a volunteer driven organization that finds and fills the needs of over 50,000 individuals and families each month. 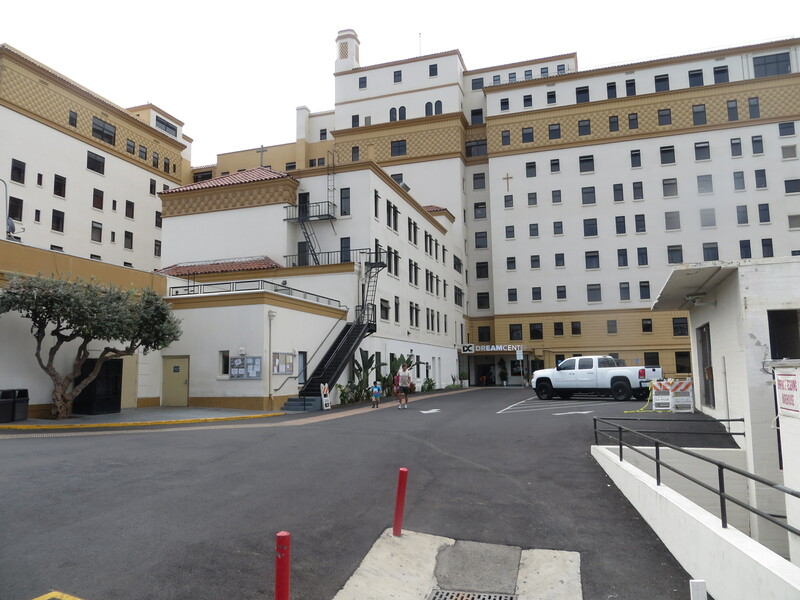 We do this through mobile hunger relief and medical programs, residential rehabilitation programs for teens and adults, a shelter for victims of human trafficking, transitional housing for homeless families, foster care intervention programs, job skills training, life skills counseling, basic education, Bible studies and more. 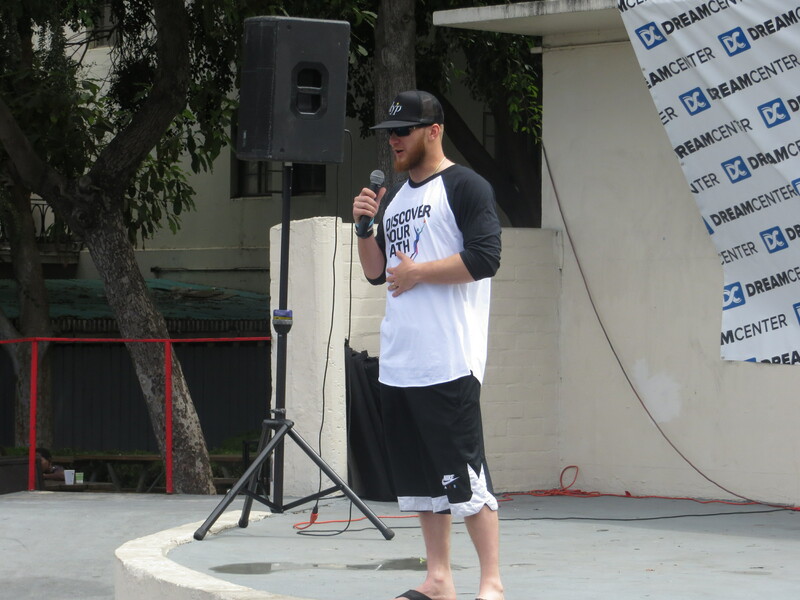 We work to meet people where they are at, to bring them hope and a way off the streets. 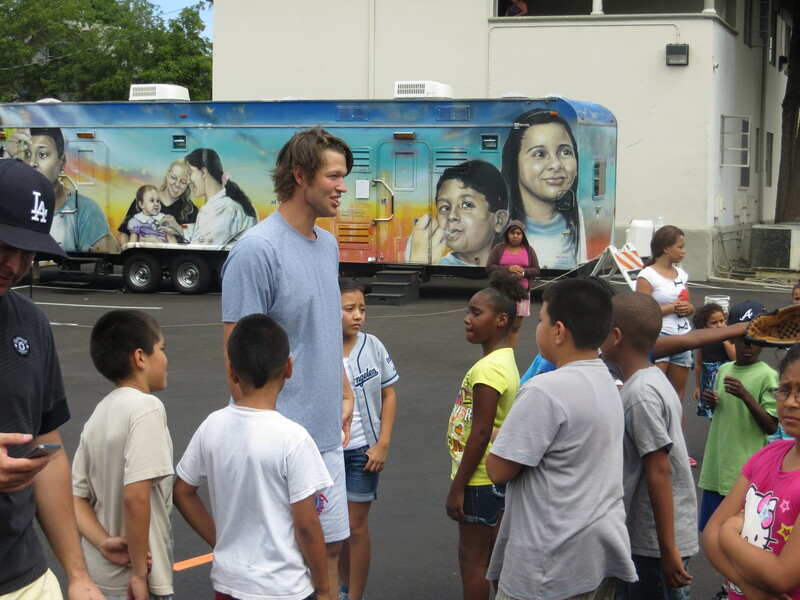 My friend Amanda who volunteers for the Dream Center has invited me several times, She started going back when Josh Lindblom was with the Dodgers. 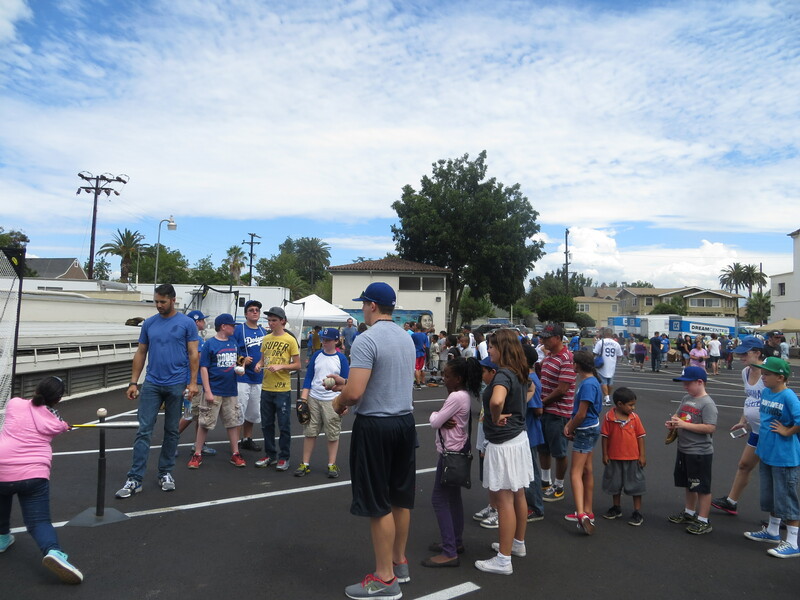 This time she told me that there was going to be a private kids baseball clinic conducted by some Dodgers. I went with my brother Victor and we stayed in the background taking some pictures. 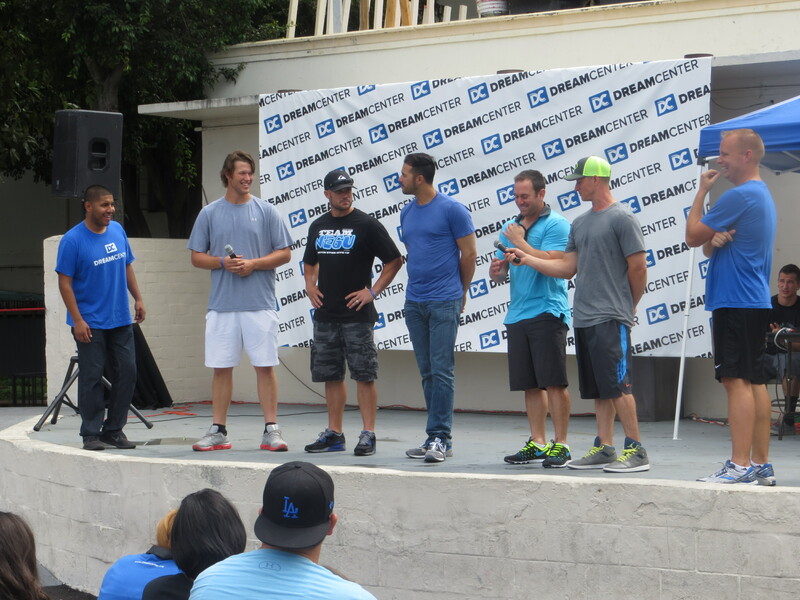 Clayton Kershaw, Shumaker, Andre Ethier, Nick Punto & Mark Ellis. . On the left corner is Jonathan who Amanda introduced me to. Jonah has a lot of energy and it shows that he loves working for the Dream Center. Pastor Matthew Barnett is on the right side. Later on J.P. Howell joined the group. 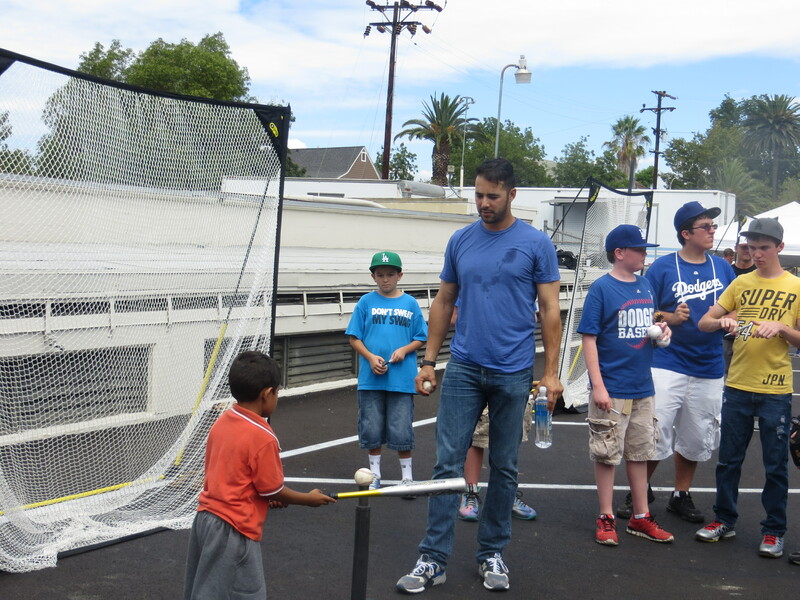 Andre Ethier showing the kids how to hit. Here I am looking looking at Andre work with one of the kids. Labor Day! 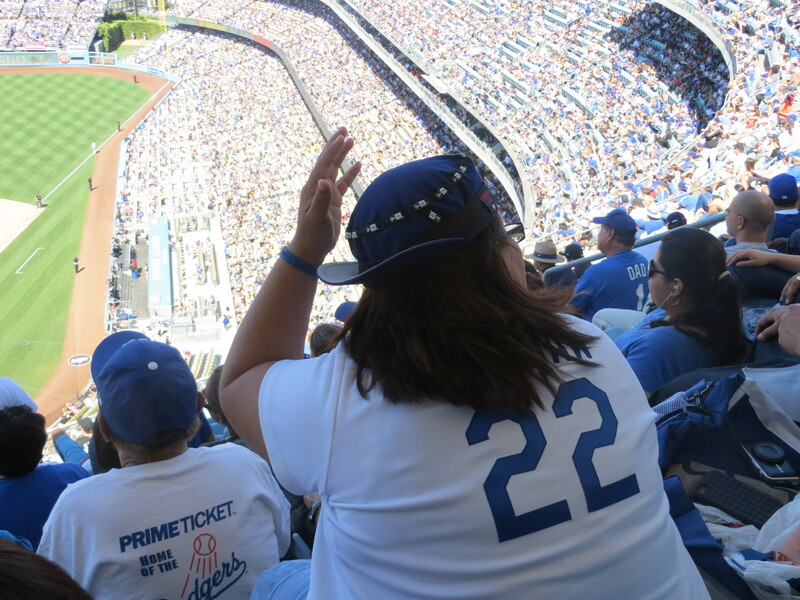 What better place to spend the day than at Dodger Stadium! My friend Lorena was back after being sick for a couple of days! She brought her two nieces. 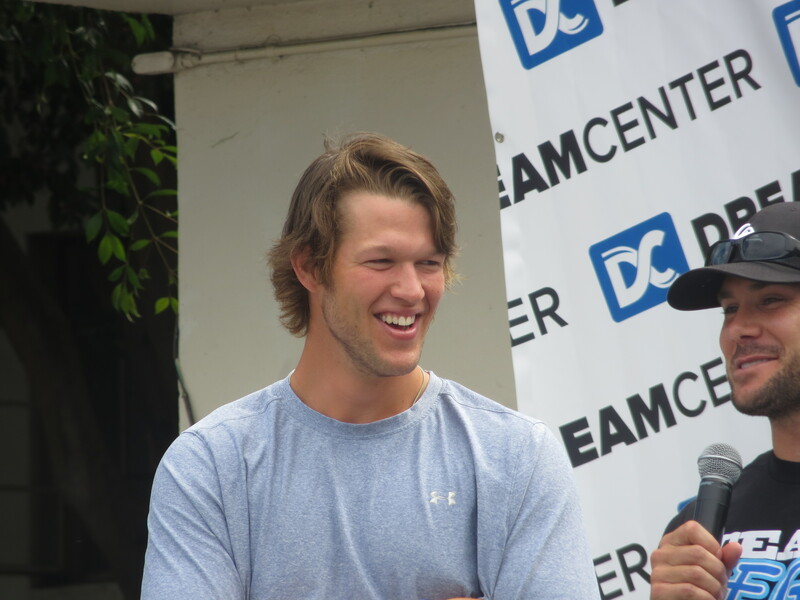 Victor and I met them there for early batting practice. Rosie and her sister Blanca were also there early, as well as Renee and Desiree so we sat there watching batting practice and talking. See what a beautiful day it was on Labor Day! Cochito’s first hit of the game. He would go on to collect four. I keep seeing some search hits in my blog asking “what does Cochito means?” It means little pig. The actual name for little pig is “cochinito” but I guess that is a shorter name, Cochito. 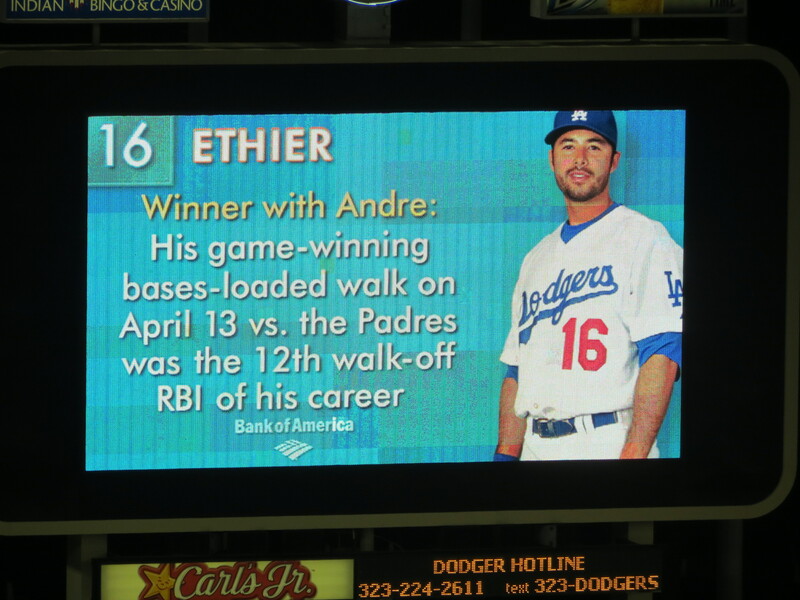 Remember when Ethier had his walk-off walk on April 13, 2012? No walk up this time but he did tie the game in the 9th with a solo homerun! 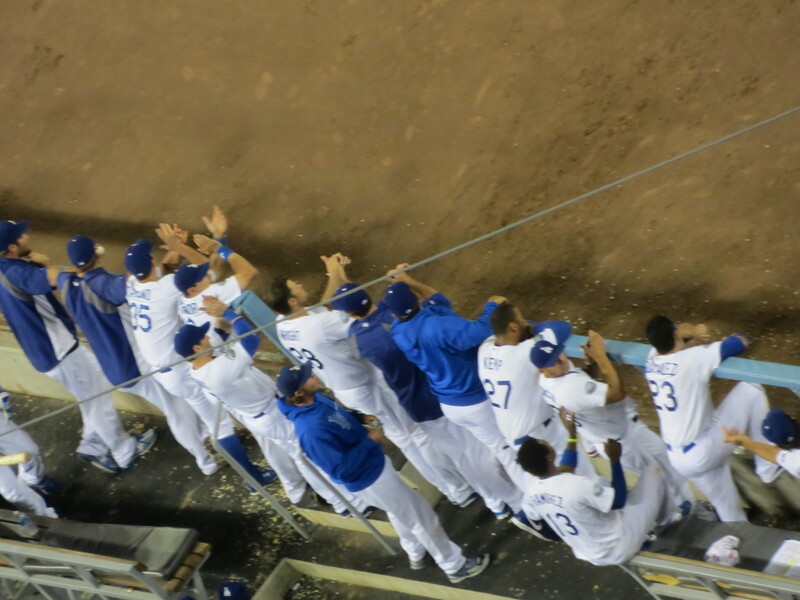 The players applauding Cochito Luis Cruz getting another hit! and the fans chanting cruuuuuuuuuz! Cochito gets the 4th hit of the night! I asked Pepe Yniguez thru twitter if he could ask Cochito when is his dad going to come from Mexico to see him play. Pepe answered that Luis Crus will bring his dad as soon as he gets his dad’s passport in order. It could be before the month ends. A.J. 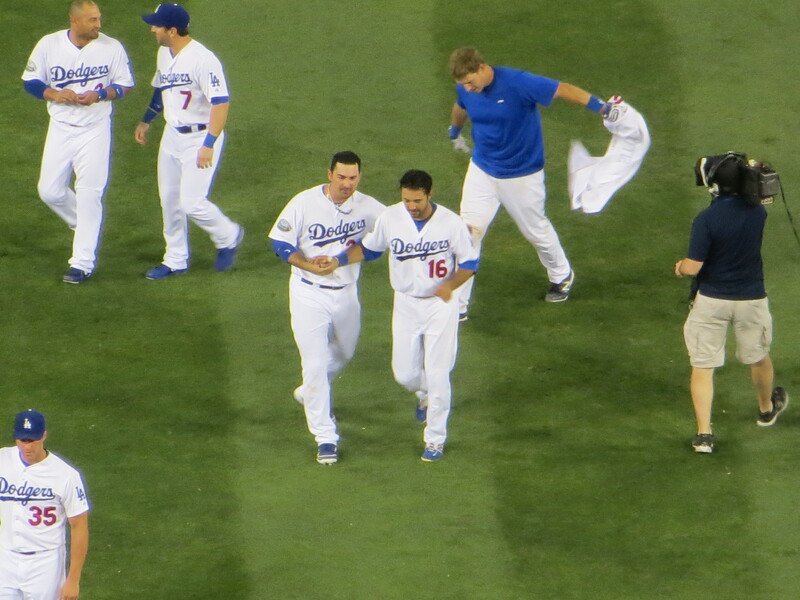 Ellis gets a walk-off single to right field to score Ethier! I like this picture with Andre and Adrian. They look like they are dancing. 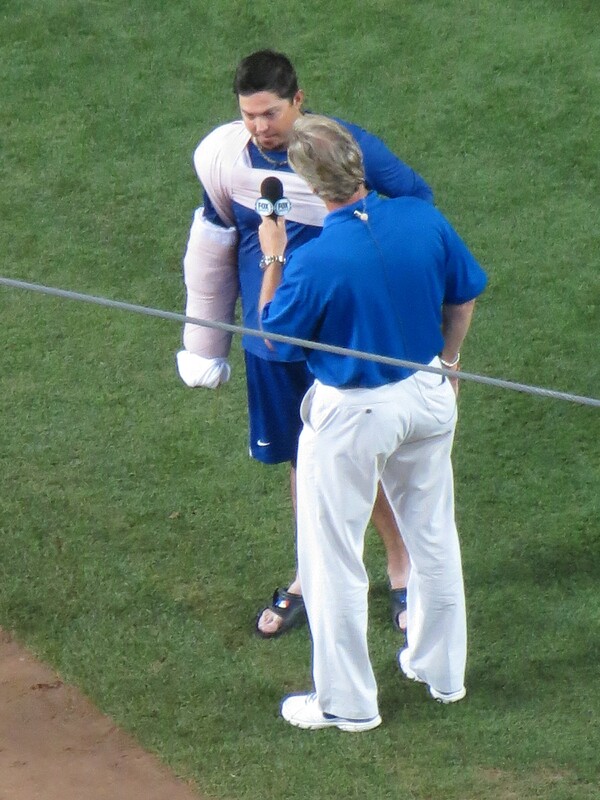 And for the second day in a row we have a Walk-off and Steve Lyons getting soaked with whoever is being interviewed. 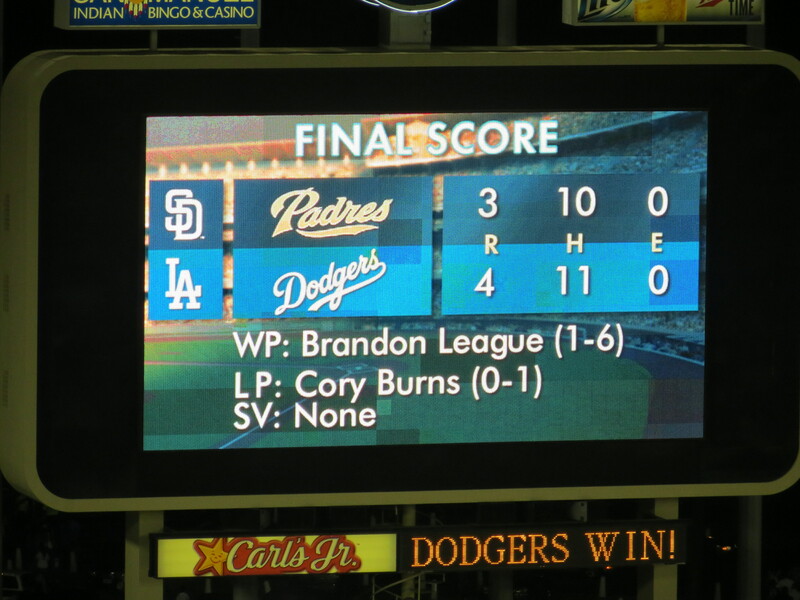 The night before it was Adrian Gonzalez. Labor Day it was A.J. Ellis. Thank you Lorena for taking pictures for me! 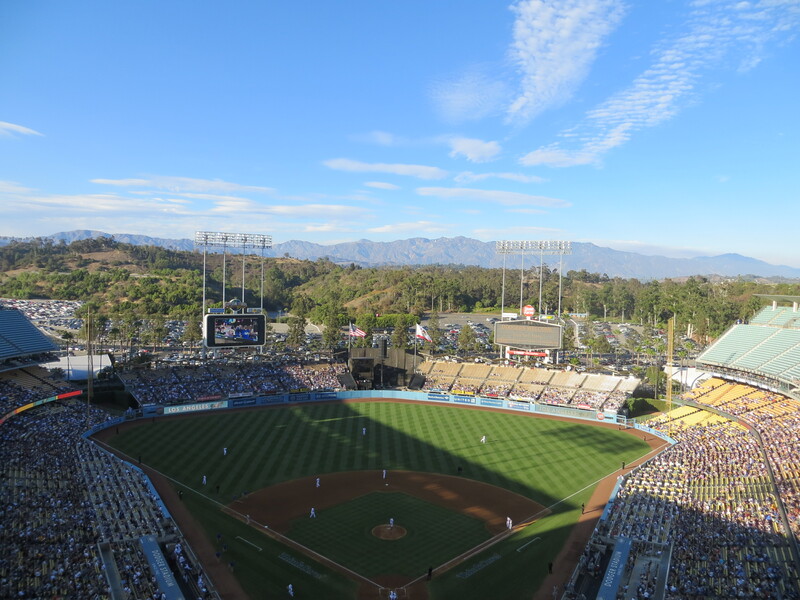 The Red Sox are tentatively scheduled to play three games at Dodger Stadium in August and the Yankees for two games in July. The Dodgers are scheduled to play at Yankee Stadium in June! Let it not be the same days as the SABR convention please! The Monkey is off their back! Extra Extra! The Dodgers finally beat the Diamond Backs! 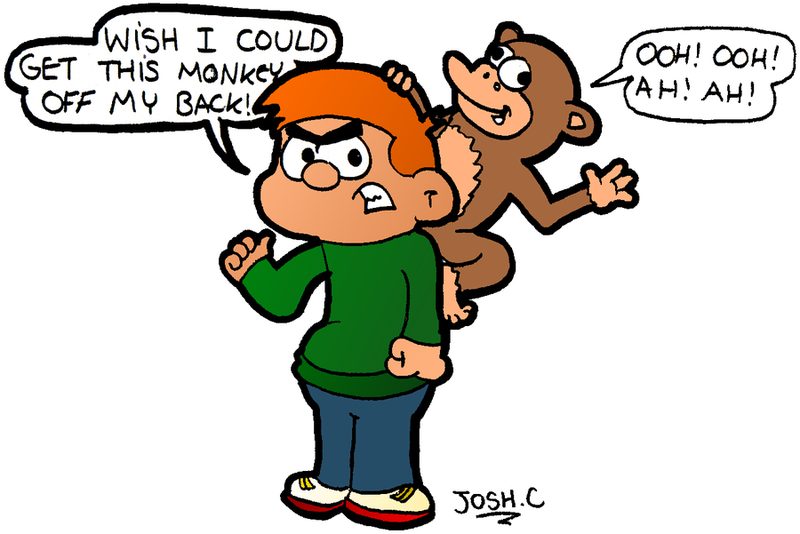 The monkey is off their back! Josh Becket got his first win with the Dodgers. Final score Dodgers 2, Diamond Backs 1. 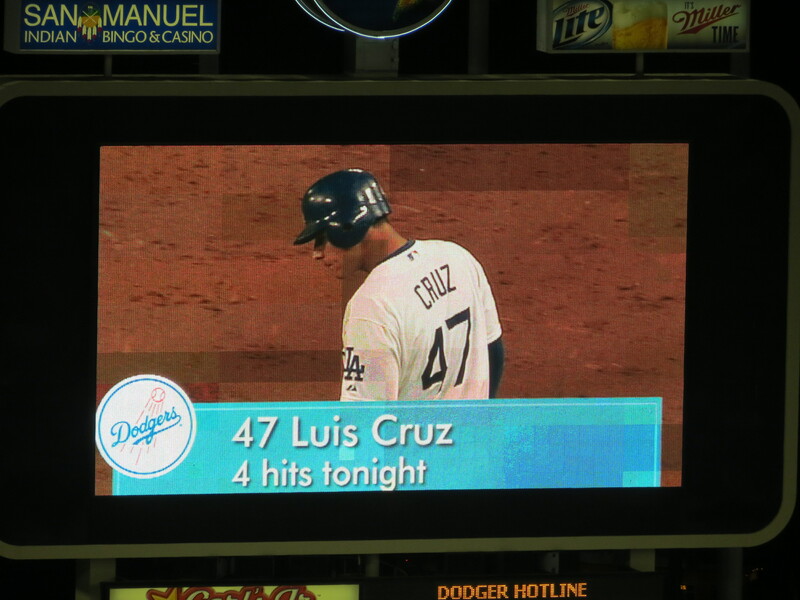 All three runs on solo homeruns off Hanley Ramirez, Andre Ethier and Justin Upton. Congratulations Josh on your first win with the Dodgers! 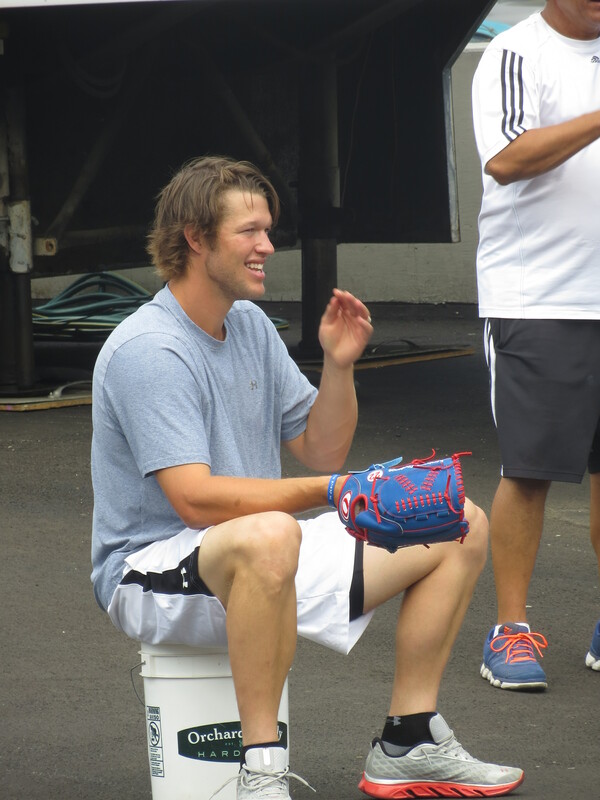 Capuano goes today against Miley. 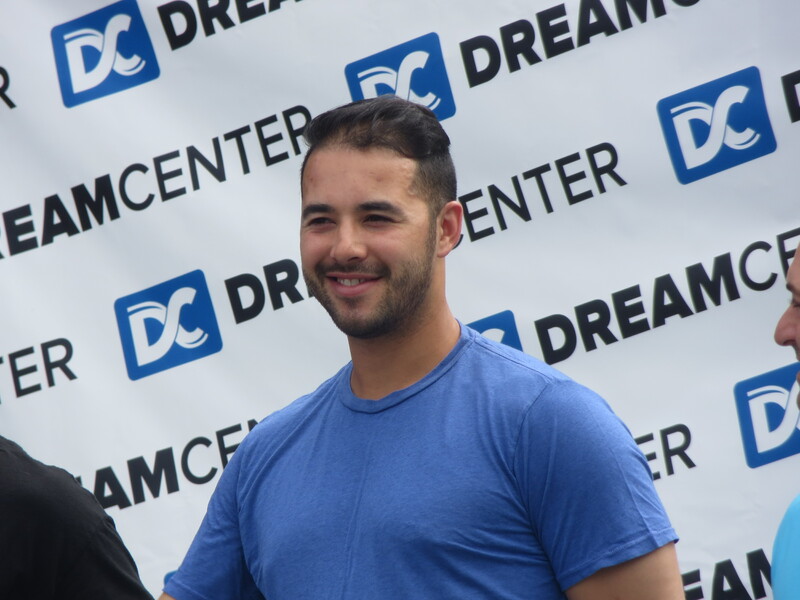 Dodgers have added Bobby Abreu to the roster by purchasing his contract from the Albuquerque Isotopes. bobby will wear #12. 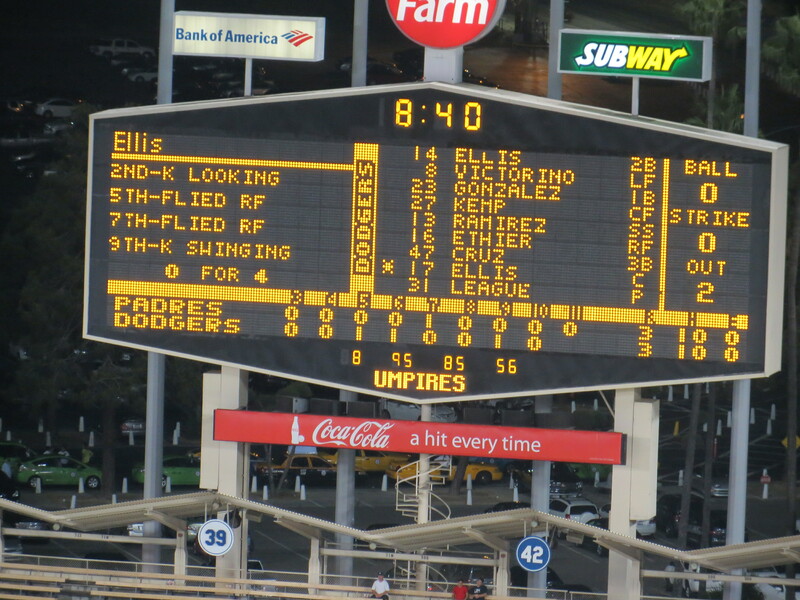 With the Dodgers White Sox series tied 1-1 the Dodgers took Sunday’s game on Father’s day 2-1. Saturday night we were complaining about umpire Jerry Meals behind homeplate. Well Meals was the 3rd base umpire on Sunday involved in a contraversial play. With catcher Treanor at third base, one out, Herrera hit a sac fly to right field. Treanor tagged and scored. The White Sox prostested that Treanor left the bag early. Jerry Meals ruled Treanor out. We kept hearing on Twitter and from the announcers that Treanor DID NOT leave the bag too early. In fact some said that Meals was not even looking at the play. Mattingly came out to protest. Mattingly kept going at it with Jerry Meals and home plate umpire Darling, eventually getting tossed from the game. 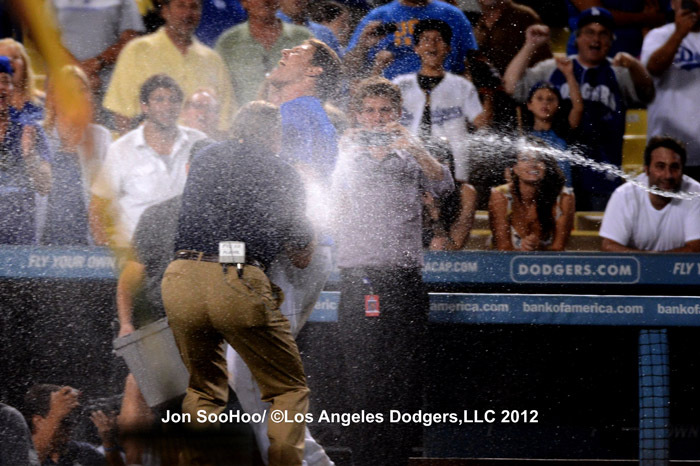 This was the fourth time this year that Mattingly gets tossed. One of those times was on Mother’s Day. With as long as it took for Mattingly to complain with the umpires, we could have had a quick examination of the play if we had instant replay. Both Capuano who struck out 12, and Quintana pitched well going eight innings. Capuano allowed one run and Quintana did not allow any runs. Belisario pitched the 9th for the Dodgers and Reed pitched for the White Sox. Abreu, coming in as a pinch hitter in the 9th, openned with a single. Dee Gordon struck out trying to bunt but Herrera’s single advanced Abreu to third. Rivera sac fly to right field scored Abreu. Game tied with Lorena’s rally cap on! 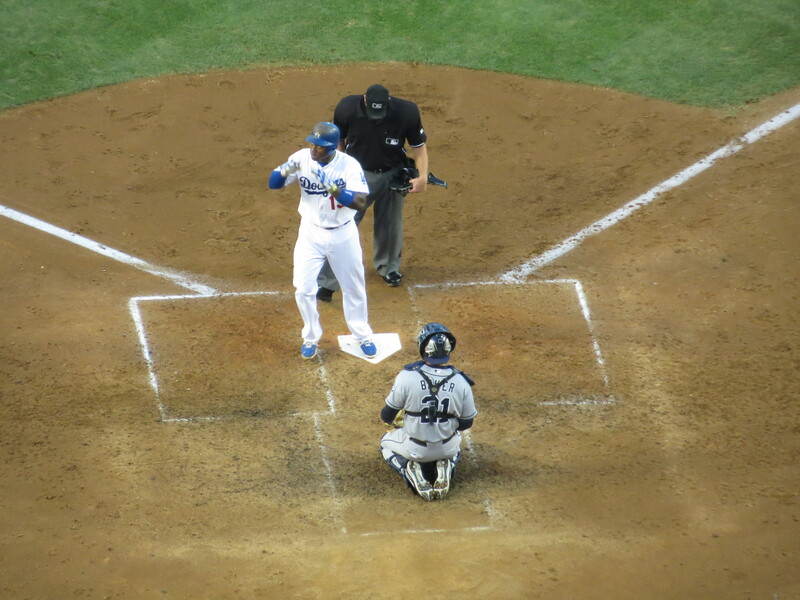 The bottom of the 10th, Loney batted for Belisario. Loney grounded out for the first out. Tony Gwynn tripled, Treanor grounded to the second baseman. Abreu was intentionally walked to face Dee Gordon. Dee responded with a walk-up single. 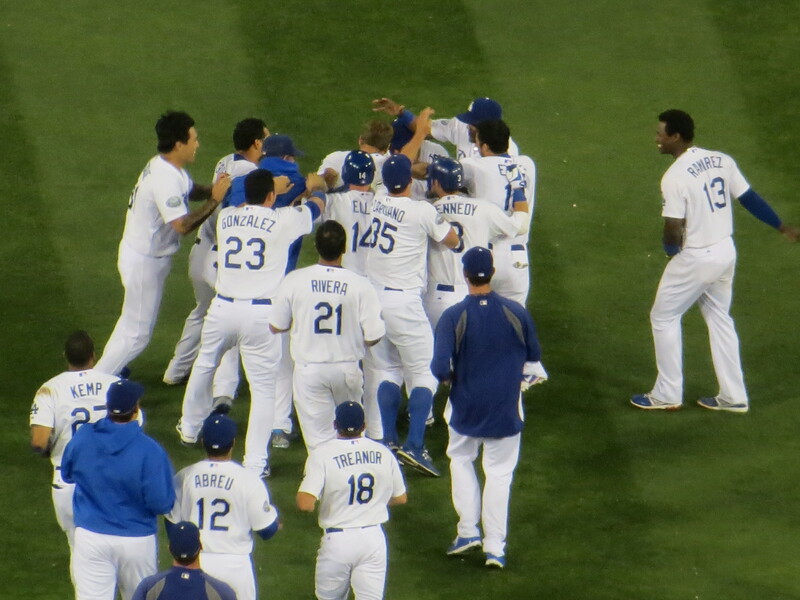 Dodgers win! Belisario worked a vulture win. His record is now 3-0 coming out of the pen. Dodgers day off today. They start a three game series in Oakland. What a nice thing for Andre to do! I was not sitting there but my friend Lorena got the text along with the picture. 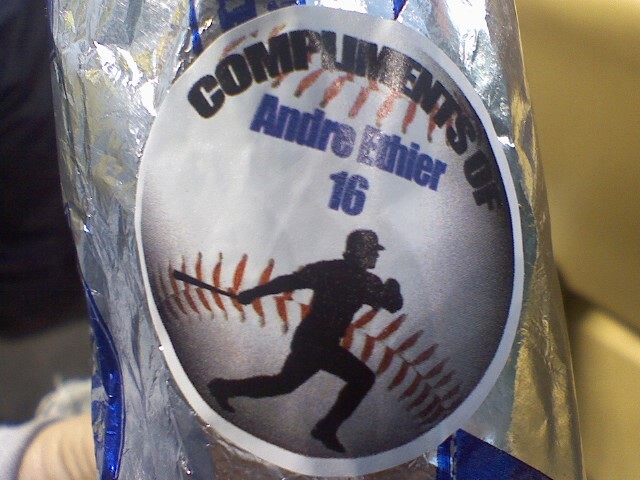 Thank you Andre! 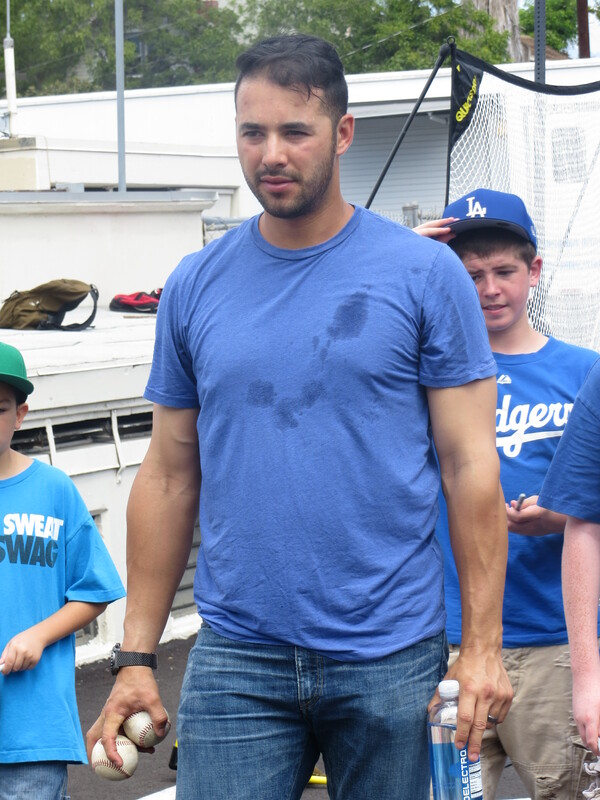 Dodgers lost three consecutive games for the first time this year. 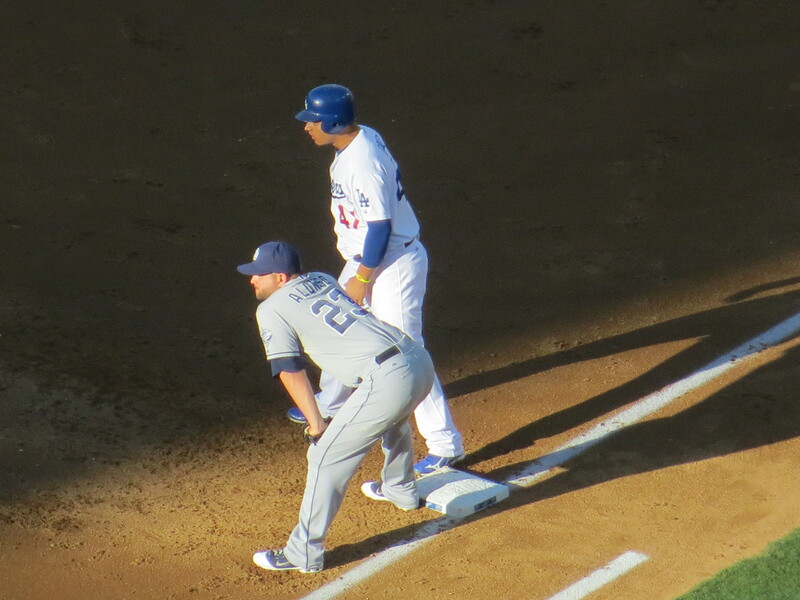 On top of that, Matt Kemp reinjured his left hamstring scoring from first base on an Andre Ethier’s double. I noticed someone getting mad in the dugout but did not realize it was Matt until afterwards. Kemp is back on the DL. Good luck Matt. Tonight is the fourth game with Chad Billingsley against Greinke. I will be sitting in the Left Field pavilion tonight. I am told the seat is above the milk sign. Looking forward to seeing Deuce, William, Dee, Joe, Ron, Pete and the rest of the fans that sit there. The next bobblehead has been unveiled today. It is the Eric Karros bobblehead. Nice! I like it! It is on my birthday June 28, but I will be out of town. Not to worry, brother Vic will collect for me.